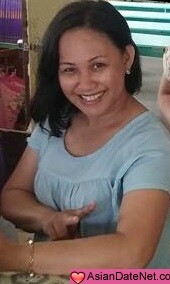 Im Ivie Girl, 37 years old from the Philippines, Im a teacher and I teach 6th grade children. I love to cook, going out with family, gardening and a lot more. I am here to meet my future husband. I've been dreaming of finding him soon. I am looking for a christian man with faith in God, understanding and a man whom I can be with for the rest of my life. I am a one man woman, honest, sweet and sincere. Dont hesitate to drop me a message and let us see what will happen next.